Last year’s gift knitting experience was a chastening one. 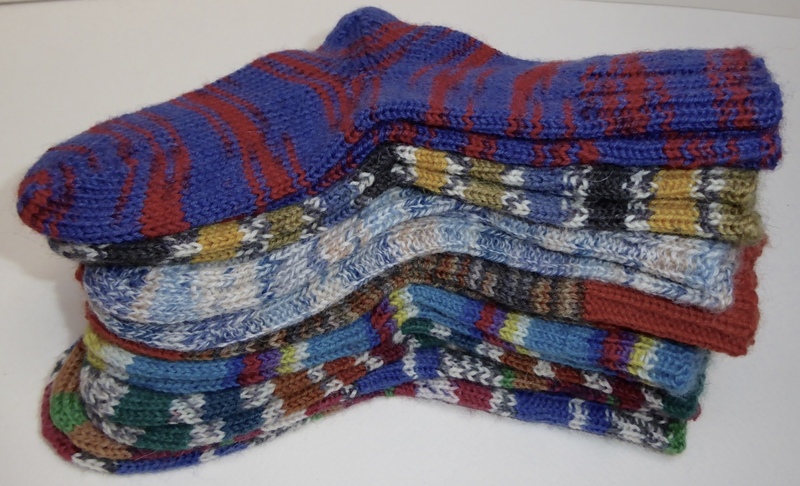 The final knit gifted was completed on the 8th January. Whilst the fact that my nephew received it wrapped up with the sleeve stitches on waste yarn does not appear to have dampened his enthusiasm for his sweater, it dampened my enthusiasm for last minute gift knitting. This was reinforced by the fact that my niece never received the sweater I was knitting for her until this October. Now, she didn’t know anything about it being a delayed Christmas gift, but I did. It sucked the pleasure out of the final stages of knitting such that it languished so long that I even forgot what pattern I was using for it. 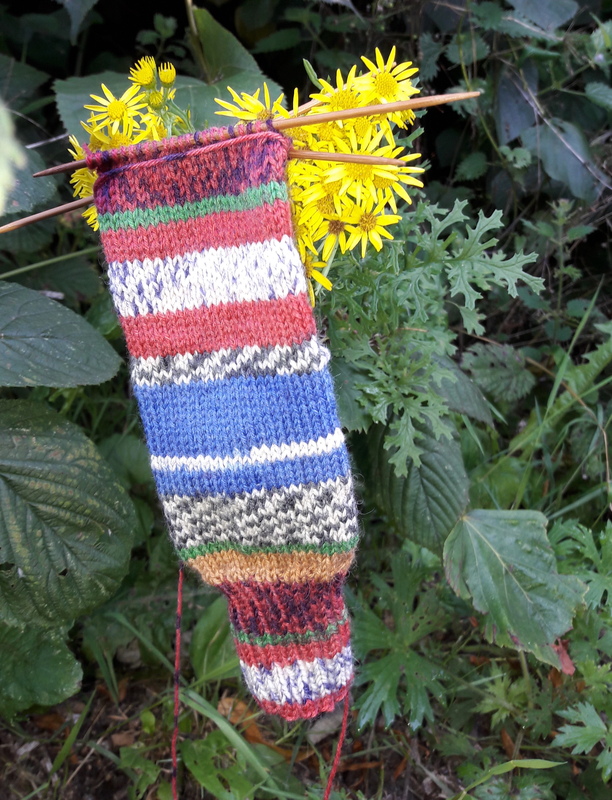 When I picked it up I was baffled as to why the stitches on the needles didn’t match any of the stitch counts on the pattern – it was the wrong pattern and I had been knitting something else altogether. So, last January as I cursed how long sleeves take to knit, even on a kids sweater, I was also making a New Years Resolution to myself – no more last minute gift knitting. Now, it’s not the first time I’ve found myself in this position. Indeed I even wrote about it here. I spoke of ‘self delusion’, ‘seasonal pressure’, ‘deadlines’. So this is a lesson that it’s taken me a while to learn, but I think it may just have sunk in…. First up in the gift parade is 7 pairs of socks – all small socks mind you – but 7 pairs. 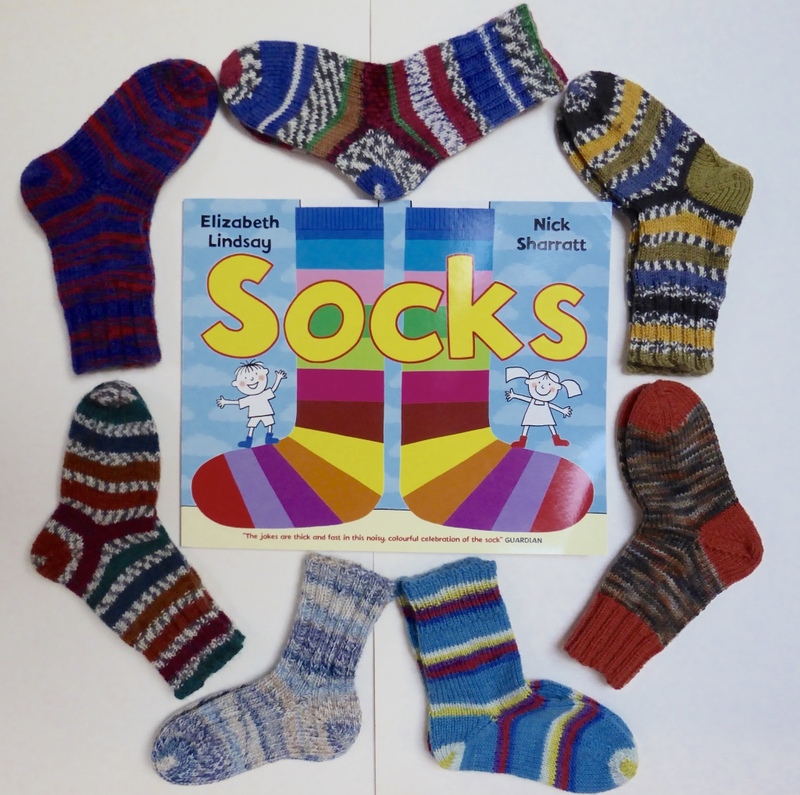 They will be gifted to my great nephew with Elizabeth Lindsay and Nick Sherratt’s ‘Socks‘ picture book. I’ve really enjoyed knitting these socks. I’ve paced myself. I actually started the first pair last December. Back then I didn’t have this gift in mind instead I was keen to try out a pattern which I’ve written about and will post shortly. The pattern is from 1943 pattern booklet and they’re knit top down with an afterthought heel. This makes them perfect for contrast heels, toes and cuffs. Each pair takes a total of 30g of yarn so they were great for leftovers from other projects, although of course, once the idea of knitting more of them as a gift came to mind, it was perfectly acceptable to go and buy yarns for a couple of pairs… They’re also small and very portable so these socks have been knit on car journeys, on the train and whilst walking the dogs – although I did have to take a seat to kitchener the toe, remove the waste yarn and pick up the heel stitches at one point. The final pair did sit a while waiting for the ends to be sewn in and to be blocked but they’re now all done and I think they make a nice gift. These socks really converted me to afterthought heels. It has taken me a while and a bit of tweaking to get an afterthought heel that I feel comfortable with, but increasingly they’ve become a feature of my sock knitting. 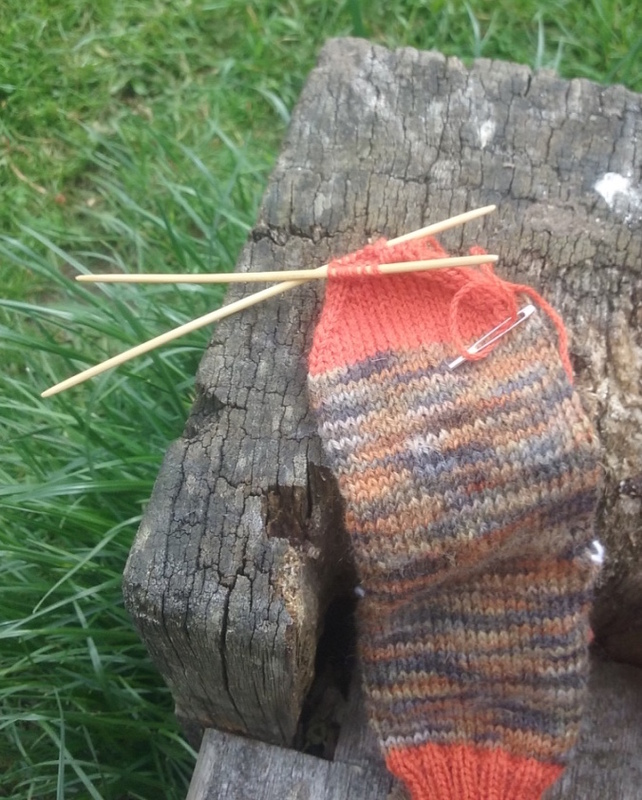 I love hand knit socks, but living in a place where socks are required for at least 9 months of the year if I have any hope of amassing a functional hand knit sock wardrobe then they have to be knitable in any circumstances. 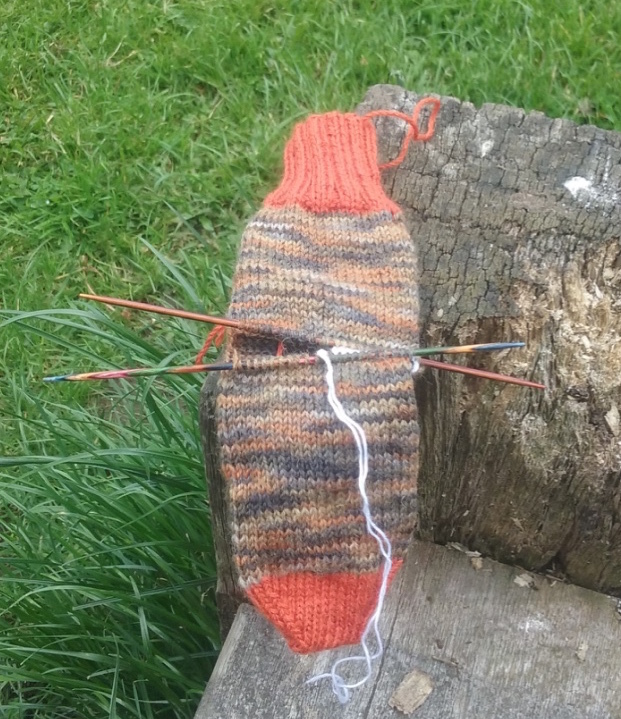 For example, this year most of my socks have been knit whilst walking the dogs, indeed so much so that I even started using #dogwalkingsocks and posting pictures of my socks on Instagram as they were being knitted in the park and at the estuary.